1. 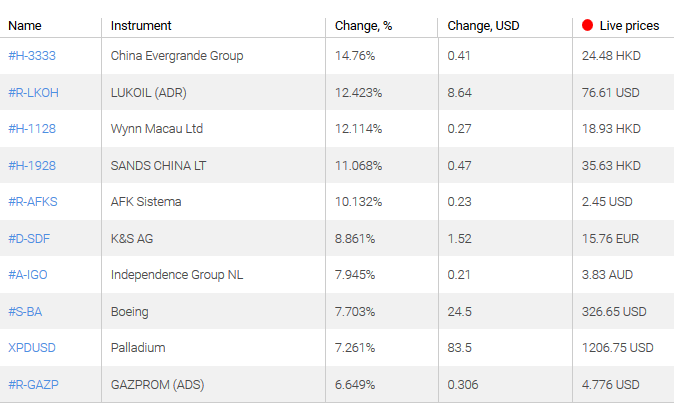 China Evergrande Group – stock prices of the Chinese company, which is engaged in the development of real estate properties, rose due to the publication of good revenue indicators for November. 2. LUKOIL (OAO) ADR – stocks of the Russian oil company increased after the announcement of the payment of interim dividends. 1. 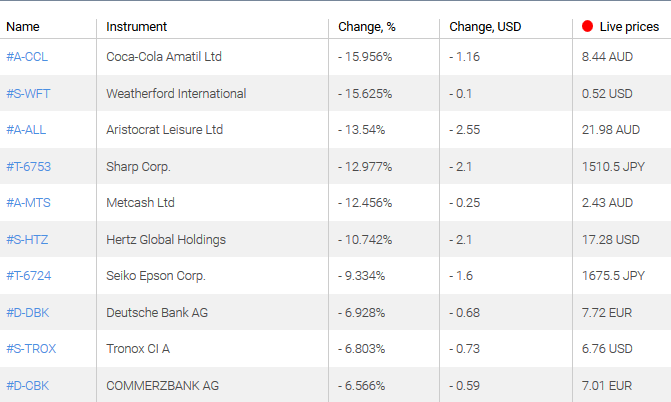 Coca-Cola Amatil – stock prices of the Pacific unit of the non-alcoholic drink manufacturer Coca-Cola fell after the sale of its subsidiary SPC Ardmona. 2. Weatherford International Ltd – stock prices of the American oil and gas company fell after considerable losses in the 3rd quarter and sales of assets in Saudi Arabia. 1. 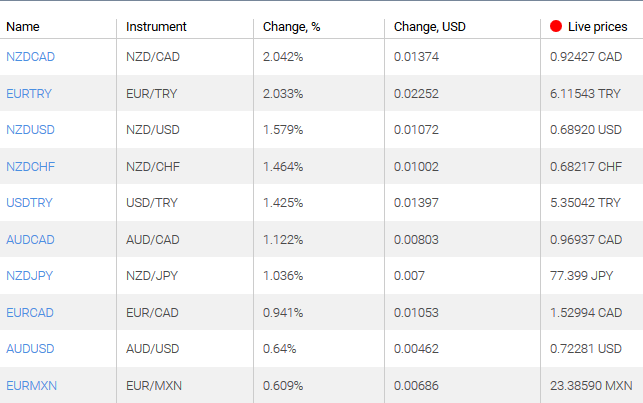 NZDCAD, NZDUSD - the growth of these charts indicates the strengthening of the New Zealand dollar against the Canadian and US dollars. This was contributed by higher prices for milk powder and dairy products, which are an important part of exports of New Zealand. 2. EURTRY, USDTRY - the growth of this chart means the weakening of the Turkish lira against the euro and the US dollar. An increase in inflation in Turkey and forecasts of a decrease in GDP in the 4th quarter had a negative effect. 1. 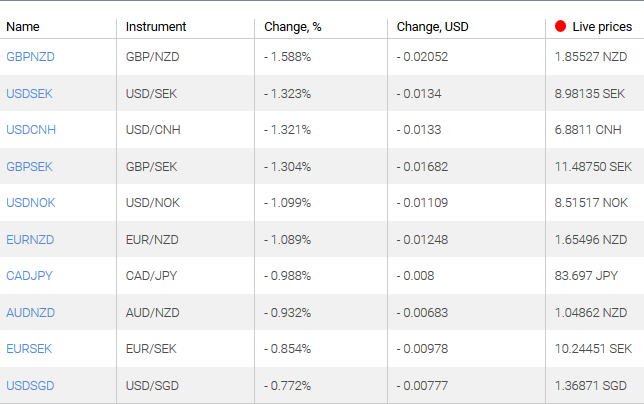 GBPNZD - the decline of this chart means the weakening of the British pound against the New Zealand dollar. Brexit continues to have a negative impact on the UK currency. 2. USDSEK, GBPSEK - the decline of this chart indicates the strengthening of the Swedish krona against the US dollar and the British pound. Signals about the possible tightening of the monetary policy of the Swedish Central Bank (Riksbank) have a positive effect.